Today will go down in history as an important day in upholding the dignity of the fine people of the South. Today the good will triumph over the sinful, the just will triumph over the unjust, and the powerful will triumph over the weak. Today in Jerusalem, Virginia, we will at last execute Nat Turner. I stand now in the gallows down in the center of Jerusalem. It is a cold and dark winter morning. A chilly wind blows from over the tall brick walls enclosing the gallows and a dusting of pure white snow covers the cobblestone ground (2). But although the bodies are huddled together to stay warm, a fiery and passionate anger is alive in the crowd (4). Hundreds of men have come today from all parts of rural Virginia to witness the execution of the infamous slave rebel, Nat Turner (4). As two white officers lead Nat Turner to the base of the wooden platform, his black face is bowed and expressionless (4). A rumble rolls through the crowd as men pump their fists in the air and yell over the noise at each other. The crime Turner committed two months ago was the most horrific and brutal of any in Virginia’s history. The anger of the men who are bellowing around me comes from a terror stronger than any of us would like to admit. The events of last August are seared into the memory of all who are present here today but I will take a moment to remind you of Turner’s horrifying uprising. Turner also told Mr. Gray that it was his goal to generate “terror and alarm” (3) among whites. This goal Turner accomplished without a doubt. Jeremiah Cobb, an official, now solemnly reads out the charges against Turner as Turner is led up onto the wooden platform (4). A few minutes earlier Turner declined to make a final comment and now the crowd is waiting in anticipation for Cobb to finish his reading. A low murmur of chatter from the crowd drowns out Cobb’s voice. I turn to the white man next to me. He is a large man with a red puffy face and a nice black suit and hat. “Thank you, Mr. Hamilton.” I say and turn away from him, looking up to the wooden platform and the noose once again. Mr. Cobb is still reading aloud from a paper document in front of him and I can feel the anticipation of the crowd. These men have been waiting for months for justice to be served against Turner. After the rebellion, Turner managed to escape and was in hiding for over two months (5). He supposedly was hiding in a hole in the ground near the dismal swamp area in Northampton when he was discovered by a hunter on October 30 (5). Apparently Turner did not resist his arrest and simply begged for his life. But it is obvious to any Southerner that Turner must pay for the horrendous crime he has committed against his superiors and that is why we are here today. Since Turner’s arrest, he has been in a state prison. 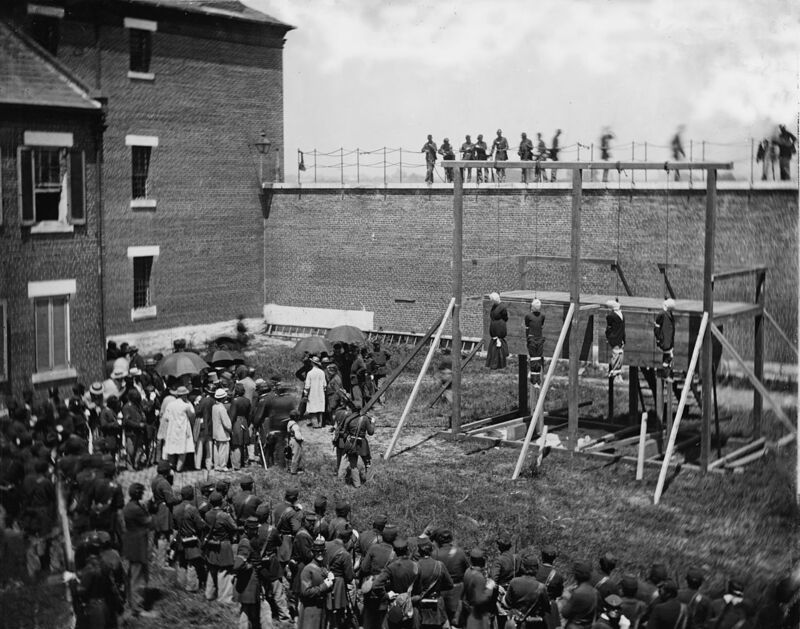 On November 5, Turner was convicted for “making insurrection, and plotting to take away the lives of free white persons” (3) and sentenced to death. “Dead! Dead! Dead!” Mr. Cobb exclaims when Turner’s scraggy body is hanging limp from the noose. The crowd erupts into cheers and hollers as men nod in approval and turn to embrace each other. Later today, Turner’s body will be skinned, beheaded, and quartered (4). Blacks generally have a fear of dissection, as they believe it prevents the soul’s ability to enter heaven and this only makes dissection after death as punishment more satisfactory to the whites (4). We will disgrace and dishonor Turner in this one final way. As I walk down the city street away from the gallows I can still hear the crowd rejoicing and celebrating the accomplishment. This is undoubtedly a day of merriment in what has been a dark few months. But the fear that Turner’s rebellion instilled in all of us has lessened in only the slightest degree. 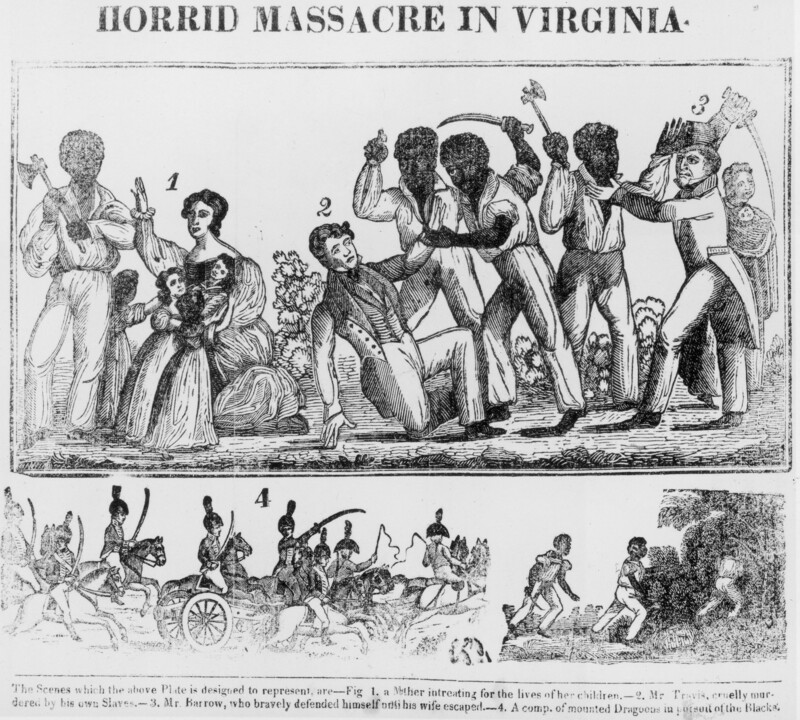 It is rumored that in the spring of next year the Virginia General Assembly will be debating a new set of laws around slavery to ensure the safety of whites and the effectiveness of our valued institution. It is fitting that certain laws be created to prevent a rebellion such as this from every occurring again. Slaves should not be permitted to learn to read or write or to gather without a white supervisor present. I encourage all of you to speak your mind so that these laws are passed promptly. We need not defend the institution of slavery for it is part of our culture and our livelihood. We must only stand up for what is rightfully ours. 1. Brinkley, Alan. The Unfinished Nation: a Concise History of the American People. 7th ed. New York: McGraw-Hill, 2013. Print. 2. “Department of Government and Justice Studies.” Public Executions. N.p., n.d. Web. 15 Nov. 2013. <http://gjs.appstate.edu/media-coverage-crime-and-criminal-justice/public-executions&gt;. 4. Greenberg, Kenneth S.. Nat Turner: a slave rebellion in history and memory. Oxford: Oxford University Press, 2003. Print.